Plans to develop new offices at the Tigné business centre, eliminating public space that formed a key part of the original designs, have drawn widespread objections from residents. The objectors argue that the development would deprive residents and visitors of open space and views from Pjazza Tigné of the sea and British-period fortifications, all of which, they say, were promised by the developers. 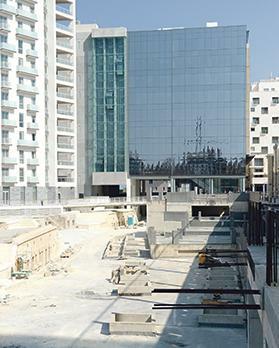 When the original permit for the office block was issued in 2012, the building’s lowest floor was designed to be raised on pillars to allow free public access beneath it, as well as space for open-air restaurants and cafés. The Planning Authority’s case officer report on the original plans positively highlighted this element, which it said would “encourage pedestrian movement and exploration of the underlying Garden Battery, piazza and Tigné foreshore”. However, in December 2017, weeks after the business centre opened its doors, developers Mid Knight Holdings – a joint venture between Midi and Mark Weingard – submitted an application for several changes, primarily replacing the open-air restaurants with more office space. The application, which was formally published by the PA in June and has yet to be assessed, drew some 200 objections, many of them from Tigné residents, during the recently concluded public consultation period. “The pjazza and the outdoor areas concerned are intended for the enjoyment of the Maltese public,” said one objection, submitted by several residents. Heritage NGO Din L-Art Ħelwa is also objecting to the proposed development, saying that it goes against the approved permit for Tigné Point. “The fortifications [below the business block] were already severely compromised by the Tigné Point development. It now adds insult to injury that this application calls for the complete obliteration of the view of these gun posts and fortifications with this development,” the NGO said. The Tigné Point permit, Din L-Art Ħelwa added, was designed specifically to allow the fortifications to be kept undisturbed and to include a pathway joining Cambridge Battery to Fort Tigné, allowing the public to appreciate the area’s history.